New Delhi Apr. 17: With recent incidents of unruly behaviour and assault on Air India employees, the airlines has decided to take legal action and further impose a fine of Rs 5 lakhs for delaying flight upto one hour, Rs 10 lakhs for any delay beyond one to two hours, and Rs 15 lakhs for delaying a flight beyond two hours. Following the debacle surrounding Shiv Sena MP Ravindra Gaikwad, Air India on Monday formulated a stricter set of rules for unruly passengers onboard. The airlines came out with a policy calling for legal action against such fliers, accompanied with hefty fines for non compliance. The advisory issued by the airlines states that the first person to be informed should be the Airport Manager/SM/RD/CD and CMD Office, with no direct interaction with the media by any employee. The airlines that recently revoked flying ban on Shiv Sena MP Ravindra Gaikwad for assaulting Air India staffer, also advised lodging of a police complaint/FIR immediately under relevant sections of the Indian Penal Code if such an incident occurs. The advisory comes in the wake of recent episode of the controversial Parliamentarian Ravindra Gaikwad, who was barred by all Indian airlines from flying with them after he assaulted an Air India staffer. The ban however was later revoked. Recent incidents of unruly behaviour with regard to Air India, also include TMC MP Dola Sen who delayed a flight by 39 minutes regarding occupying of emergency exit seat to her wheelchair bound mother. Air India to charge fine up to Rs 15 lakh for reckless fliers. 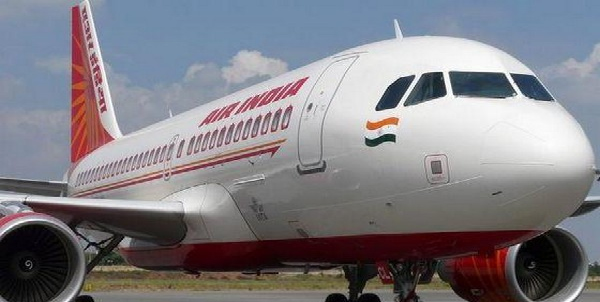 Air India new guidelines to impose a fine of Rs 5 lakhs for delaying flight upto one hour, Rs 10 lakhs for any delay beyond one to two hours, and Rs 15 lakhs for delaying a flight beyond two hours.